at one time, and we can also give formative assessments at the end of class periods to ensure learning is taking place. What challenges were you trying to solve? We wanted to find a solution to maintaining control over our classroom tablets and be able to monitor their screens to check what the students were doing and ensure they were on task. How has the software helped you? 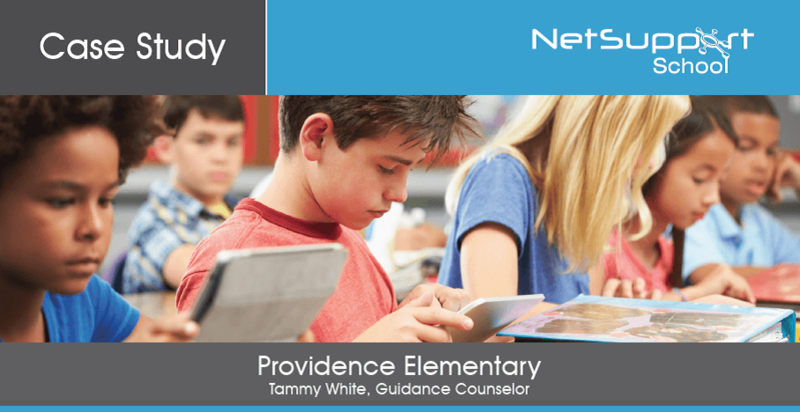 NetSupport School saves me time in creating assessments, which increases my productivity. Also, it is very easy to navigate! How and where has NetSupport School added value? Aside from its reasonable cost, NetSupport School has really helped us save time in the classroom. Would you recommend NetSupport School to others? I love the NetSupport School software! I can’t wait to learn even more about the usefulness of the program and all the possibilities that I can utilize with my students!